Call Us for Microblading & Eyelash Extensions! Raksha Spa is a boutique style spa offering exceptional services to customers in Brooklyn and the surrounding area. We are committed to providing beauty, hair and spa services that will exceed your expectations. We specialize in eyebrow tinting, microblading, threading and eyebrow waxing services. If you are looking for eyelash extensions or brow contouring, Raksha Spa is the smart choice for you. We have the expertise to provide a unique experience to our customers. We also offer hair braiding, weaving and hair coloring services; along with facials, pedicures, manicures and much more. We have an in house barber shop for grooming needs of men. We aim to help you maintain your integral beauty while making you feel your best. We are an affordable, budget friendly choice, offering high quality service. At Raksha Spa, we welcome walk-ins. Call us at (646) 876-9254 for more information. 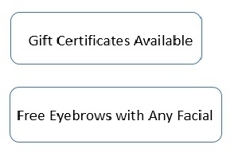 Free Eyebrows with Any Facial! Copyright © 2018 rakshaspabrooklyn.net All rights reserved.